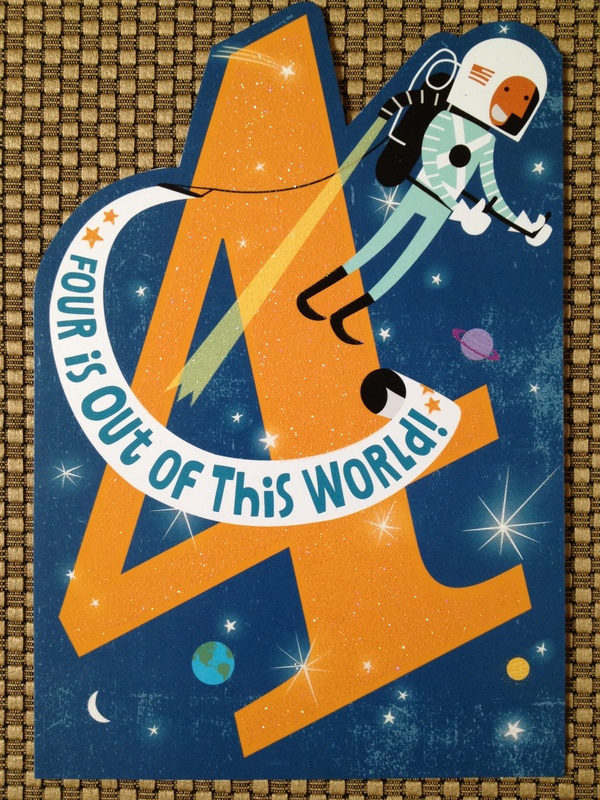 Happy 4th Birthday, By All Writes Moonlight Blog! Being the proud owner of a four-year-old blog is indeed out of this world! It’s that time again in the By All Writes LLC editorial calendar–let’s get this 4th (virtual) birthday party started. During this past year’s blogging ritual, I met with much success. I also struck out with a few topics only a blogger could love. But overall, I take great pride in my blog’s progression from toddler to preschool smart-@ss. Oh yes, the Moonlight Blog learns something new on a weekly basis. Dear readers, first-time visitors and fellow bloggers, I submit to you 2015-2016’s blogging lessons. Goody-Bag Treat #1–Continuing to Take My Own Photos Keeps Me Out of Legal Trouble: Perhaps it would be easier to tap the free stock-photography libraries that abound online. Or, I could pay for access to the avalanche of low-cost digital images. But I’m not known to take the path of least resistance for any endeavor, business or pleasure. My strategy of snapping an endless variety of amusing (and sometimes truly odd) photos has solidified my reputation as a blogger with a fetching sense of humor. I’ve never “lifted” an online image for a blog post, not once. Thus, I’ve never received a cease and desist letter from someone’s lawyer asking me to a) pay a marked-up, exorbitant royalty fee or b) show up in small claims court for dereliction of payment. Goody-Bag Treat #2–It’s Time to Make Nice with LinkedIn’s Publishing Platform: In early 2014, LinkedIn gave all account-holders access to its Pulse publishing platform. Ever since then, the content continues to flood in like digital lemmings allegedly jumping into the online sea. You’d think the appeal of posting my small mountain of content (200+ posts strong!) to Pulse would be irresistible. And you would be wrong. I blame my hesitation on too much initial reading. I decided, perhaps mistakenly, that duplicating my blog’s content on LinkedIn’s platform would anger the Google gods, who would then cast my posts to SEO purgatory (and cast me down with the Sodomites). So, I’ve stayed away. I do continue to watch plenty of professionals spill their wisdom into the LinkedIn stream, now closing in on the combined size of all five Great Lakes. A recent Search Engine Journal article highlights how to modify a blog post before publishing it to LinkedIn’s Pulse or Medium. I’m hopeful that if I follow such advice, Pharaoh Google the First will honor my re-posted content with lotus flowers and papyrus. Goody-Bag Treat #3–When Sh!t Happens, Take a Guilt-Free Blogcation: I’ve reached reach a crossroads in my blogging life. I now accept the fact that despite good intent, I must adapt when the unexpected infiltrates my editorial calendar. My esteemed blogging buds, merde happens–all the time. A moment of serious technical merde happened to me in January. And less than two weeks ago, Bar Mitzvah merde threw me a March curve ball. The Ides of March, “in” lions and “out” lambs–this month trampled all over my editorial calendar. Other occurrences that may intermittently taunt your blogging schedule: a minor illness, a weather-related power outage, a major illness or surgery, a zero-sum family issue, etc. You get the idea. Whether you’re a newbie or seasoned blogger, that first missed deadline hurts a lot. I speak from experience. After the first time, your coping skills improve. That’s because you (at last!) have the epiphany all bloggers must achieve: taking a sabbatical is no sin. I no longer overstuff my editorial calendar. Instead, I insert breaks when I suspect those AWOL moments are likely to happen. And trust me, they will happen, so check your guilt at the coat room. Goody-Bag Treat #4–Find Stickier Business Hashtags on Twitter (or Build a Better Hashtag): For the author-centric writing crowd, meaningful hashtag opportunities abound on Twitter. Blogger-friendly hashtags I’ve previously mentioned include #MondayBlogs (my favorite! ), #TuesdayShares, #wwwblogs, #ArchiveDay, and #SundayBlogShare. Worthwhile hashtags all, used by and populated with amicable people. But I still haven’t found what I’m looking for: hashtags specific to business-related blogging. There are high-level hashtags for #business, #smallbusiness (aka #smallbiz), #contentmarketing and even #businesswriting, although I’m uncertain how much attention this last one garners. And every time I google/Google “best Twitter hashtags for business bloggers,” the results typically circle back to the hashtags I already know and use. Recently, I searched on “Best Twitter hashtags for writers.” A gal named Mandy Wallace surfaced with a guest post by Sacha Black mentioning a few hashtags I’ve never used. These include #amblogging and #FWRT (Freelance Writer Retweet). Goody-Bag Treat #5–Drown an Unpopular Blog Series in the Bathtub Before Draining the Water: I’ve blogged about establishing “evergreen” blog posts and serial posts to potentially build an online cult following. However, I learned this past year that not all series are created equal. For example: My “International Swear Words to Love and Use” and “Its Time to Improve You’re Grammar” posts always elicit digital affection and commentary. Contrarily, my “Bodacious Business Horoscopes” blog posts haven’t done much for me lately, despite certain readers chiming in when Jupiter aligns with Mars. Because this series will complete its astrological orbit in May, I’ve decided to finish it properly. But the monthly, labor-intensive drudgery of crafting these posts should have been motivation enough for me to stop after Cancer (the Crab) or Leo (the Lion). I now believe the contributing factor to a successful blog-post series is strategically timed appearances that leave your readership insatiable. You don’t want to bore readers and visitors; you’re better off tantalizing them. Anyway, lesson learned. No more monthly serial-blogging for me beyond my “South Jersey Spotlight” guest posts. Goody-Bag Treat #6–I Should Pony Up for Sponsored Updates and Tweets: As the owner of a precocious four-year-old blog, I finally realize one immutable, universal truth: My content won’t achieve better distribution until I invest in sponsored posts, tweets, and status updates on social media. Period! I’m ever so grateful for the sharing and re-tweeting affection I currently receive from my Facebook, Google+, LinkedIn, and Twitter connections. And I do my best to reciprocate early and often. But as a dedicated blogger, I want to reach and draw in a wider reading audience with my kick-@ss content. And so, invest I must. Sponsored LinkedIn status updates seem the obvious starting point for a business blogger, followed by promoted tweets on Twitter and sponsored posts for my Facebook business page. Who knows–maybe I’ll test-drive a Twitter Lead Generation Card for good measure. Was any of this insight new or a helpful reminder to you, fellow bloggers? For those of you who own a long-established blog, what suggestions do you have for my precocious preschooler? I’m so glad you stopped by to wish my blog a happy birthday. The party is over, but the goody-bag treats are yours to keep. Thanks for helping me celebrate another year of the By All Writes Moonlight Blog! 2 Responses to Happy 4th Birthday, By All Writes Moonlight Blog! Awesome that you’ve reached this important milestone! And so glad to have been there at post #1 for this journey. May there be a thousand more!